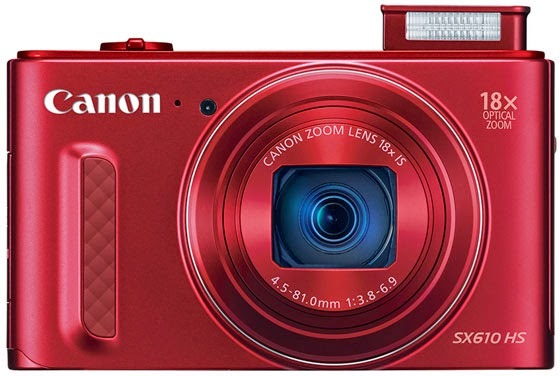 Canon has added five new compacts to its PowerShot lineup. The first three cameras are the SX610 HS, SX710 HS, and SX530 HS superzooms. The SX610 features an 18x optical zoom (25-450mm) lens with intelligent IS, a 20.2MP CMOS sensor, DIGIC 4+ engine, 3" LCD, built-in flash, and Wi-Fi as well as NFC connectivity. 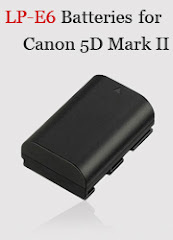 The camera records Full HD 1080p video and has continuous shooting mode at up to 7.2fps. The SX610 is expected to ship in three basic colors, black, white, and red, in February at MSRP of $249.99. 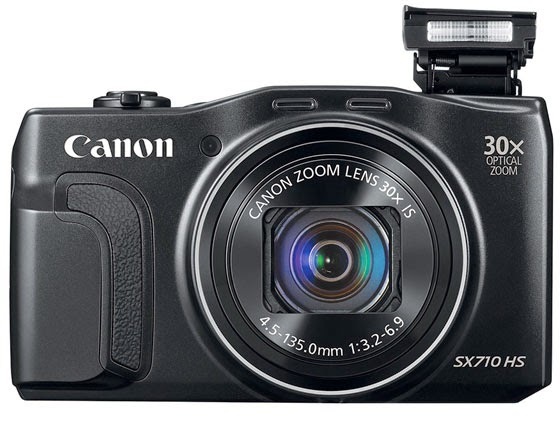 The PowerShot SX710 HS replaces the existing SX700 and comes with a 30x optical zoom (25-750mm) lens with IS, Canon's latest DIGIC 6 processor, an upgraded 20.3MP CMOS sensor, Full HD 1080/60p video function, continuous shooting mode at up to 8.5fps, a 3-inch LCD, built-in flash, Wi-Fi, and NFC. The SX710 will be available in black only in February for a list price of $349.99. For more powerful zoom, you may want to pick up the SX530, which features a 50x optical zoom (24-1200mm equivalent) lens with optical image stabilization. The camera is equipped with a 16MP CMOS sensor, DIGIC 4+ image processor, Zoom Framing Assist, Full HD 1080/30p video recording function, built-in flash, Wi-Fi/NFC, and a 3-inch LCD. Continuous shooting mode is available at up to 10fps. 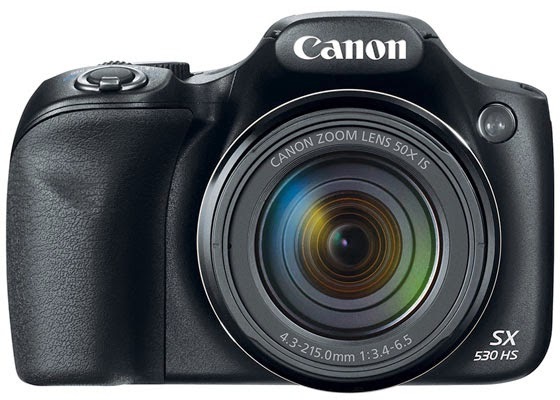 The SX530 will arrive in February with a $430 price tag. 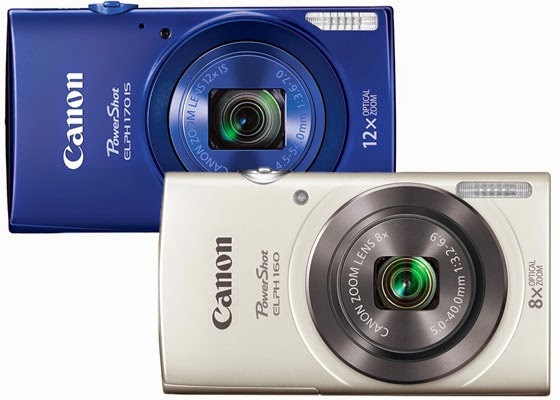 The last two compacts are the wallet-friendly PowerShot ELPH 170 IS and ELPH 160. Both cameras come with a 20MP CCD sensor, DIGIC 4+ processor, built-in flash, 2.7" LCD, and 720p video recording function. The ELPH 170 has a 12x (25-300mm) zoom lens with optical image stabilization while the ELPH 160 comes with a smaller 8x (28-224mm) zoom lens. The 170 and 160 will be available starting February for $150 and $120 respectively. For other compatible parts, see Canon PowerShot ELPH 170 IS and ELPH 160 accessories.